Based on the novel by Stephen King, NBC adapts CARRIE as a television event in 2002, starring Angela Bettis, Patricia Clarkson and David Keith. Carrie White is an object of scorn and ridicule until the night of the senior prom when she unleashes her fury. 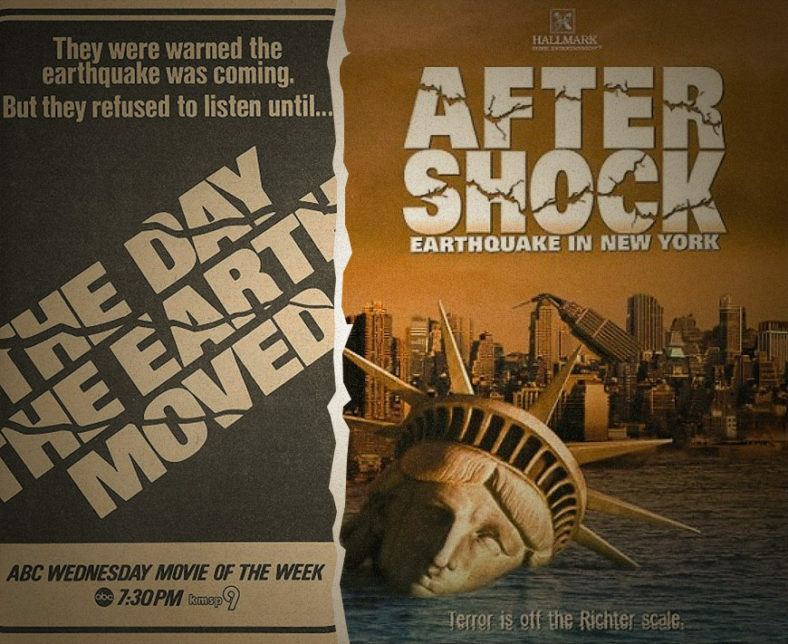 EARTHQUAKE!… Jackie Cooper, Stella Stevens, and Cleavon Little star in THE DAY THE EARTH MOVED (1974). Jennifer Garner and Tom Skerritt star in AFTERSHOCK: EARTHQUAKE in NEW YORK (1999). If this episode doesn’t shake you, nothing will.